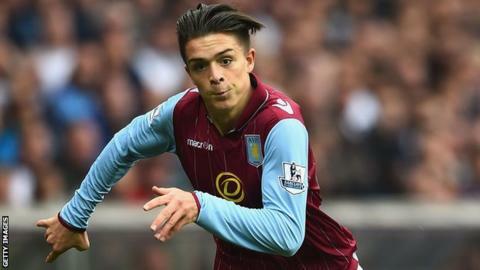 Aston Villa manager Paul Lambert has warned teenage winger Jack Grealish after he used Twitter to highlight a lack of first-team opportunities. Grealish has made 11 appearances this season but started only two cup games. A since deleted tweet said: "Can't wait to be happy playing football again," with a photo of the 19-year-old smiling on loan at Notts County last term. "I think he should stay off tweeting," Lambert said. "Not everyone needs to know that he's boiling an egg." The Birmingham-born Republic of Ireland Under-21 international had been linked with another loan move but Lambert dismissed the idea of an imminent switch. "Not one club have asked me personally about him," he said.